This officially licensed, deluxe decorated bib makes it easy for any baby to join the party! 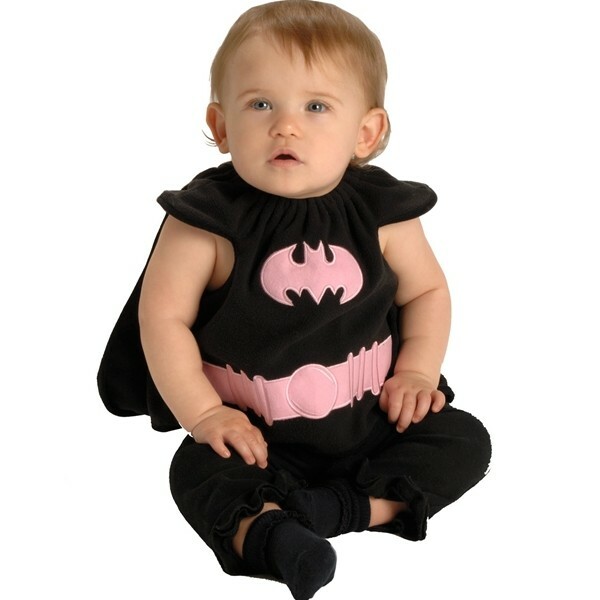 The black bib with attached cape is decorated with a pink bat symbol and utility belt. Perfect for your little superhero!